Reliable Chevrolet is a trusted resource for reviews of the 2013 Chevrolet Camaro - scroll down below the video to begin reading. Where do we get these Camaro reviews? From prominent writers in their industry. Chevrolet Camaro information you can entrust on to make informed decisions is right here - each article is bundled with [helpful facts and specs - all at your fingertips. Is the Camaro right for you? Find out below! 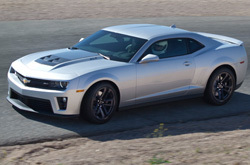 When comparing the 2013 Chevrolet Camaro alongside the 2013 Nissan 370Z, Dodge Challenger, Ford Mustang and the Hyundai Genesis Coupe, and you'll find that the Camaro transcends those autos in various aspects. Check out just a few of the reasons below. Get actual factory parts and spectacular workmanship from Chevrolet technicians at a convenient shop that's just a short cruise from your place of residency. At our Chevrolet auto repair center in Springfield, we offer this and a year warranty on all jobs! 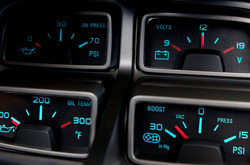 With backing from Reliable Chevrolet's car repair masters your Chevrolet will run perfectly. We can administer a chore as effortless as an oil change, or handle tough car service and repairs like Chevrolet timing belt replacements, transmission rebuilds, and strut and shock repairs. Reliable Chevrolet is your safe bet in Springfield for quick, professional Chevrolet service and regularly scheduled maintenance. For bountiful savings, check out coupon specials at the next link.